I had always assumed the sour component of a cocktail would have to be citrus. That was until I tried the Fall Cup at Jen Agg’s the cocktail bar. It’s hard to imagine mixing with balsamic vinegar but somehow everything works so beautifully in this drink. 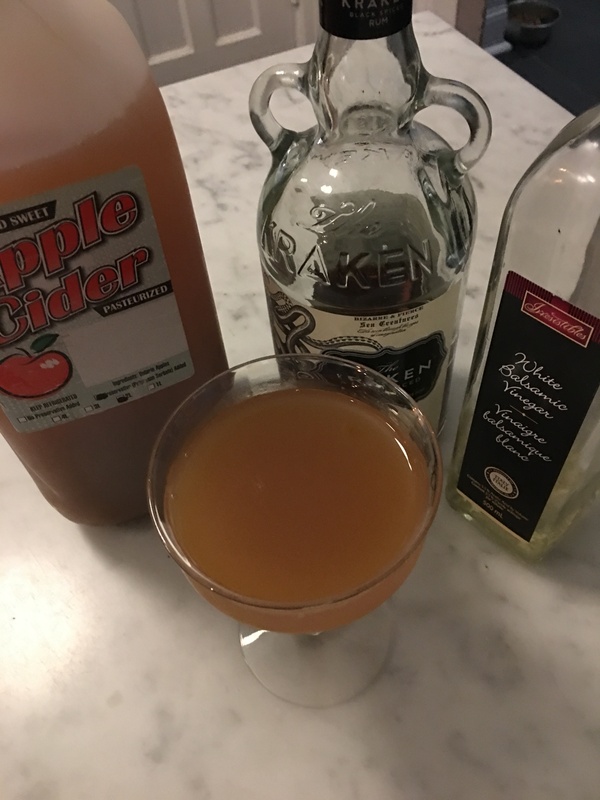 I go apple picking every fall with my family and I purchased the apple cider called for in this recipe right from the apple farm. Autumn drinks are probably my favourite, mostly because the ingredients are still seasonal. Anyway, everything in this drink is readily available pretty much anywhere. It is a beautiful cocktail. Shake with ice and strain into (ideally) a chalice. A chilled coupe or goblet works well too.